KELLER WILLIAMS LOCKS DOWN LARGEST NUMBER OF FIRMS ON TOP BROKERAGE LISTS ... AGAIN! - Don't let your dreams be dreams! 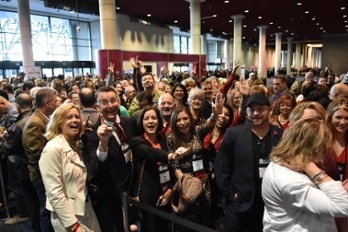 Collectively, the Keller Williams brokerages on the 2017 REAL Trends 500 handled more than $178 billion in sales, up 23 percent over the previous year. They also handled 645,000 transactions – a one-year gain of 21 percent. “By focusing on production — and being really purposeful about our activities and training during the months when traditional real estate slows down — these 161 market centers are helping agents fund their lives and create opportunities,” said Davis.